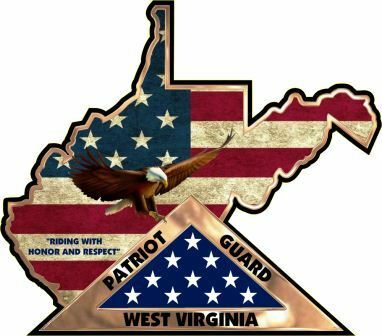 The Patriot Guard Riders have been asked to participate in the upcoming Wheeling Middle School’sVeteran’s Day Ceremony/Celebration on Friday, Nov. 8th. I have been in contact with the principal, Mr McCardle, and he is ecstatic we will be participating. Tentative plans include : Arriving at theschool, where we will be greeted by the students holding flags. We will then move to the gymnasium to establish a flag line so the students, faculty, parents, and guest speakers will be entering through our flag gauntlet. We will then move to the podium to flank the stage for the guest speakers. Guest speakers will include veterans of past, and present conflicts, and some local LEO’s. The list is being organized daily. Students will also be paying respects to veterans and fallen heroes from all conflicts. The program/ceremony will begin once we arrive and establish our flag line. Ron Jones, WV ASC – North, will be the RC for this mission. Understanding this is a work day, I hope all can take some time out for these students. As always, monitor the weather and dress accordingly. This is going to be a memorable mission, for all.